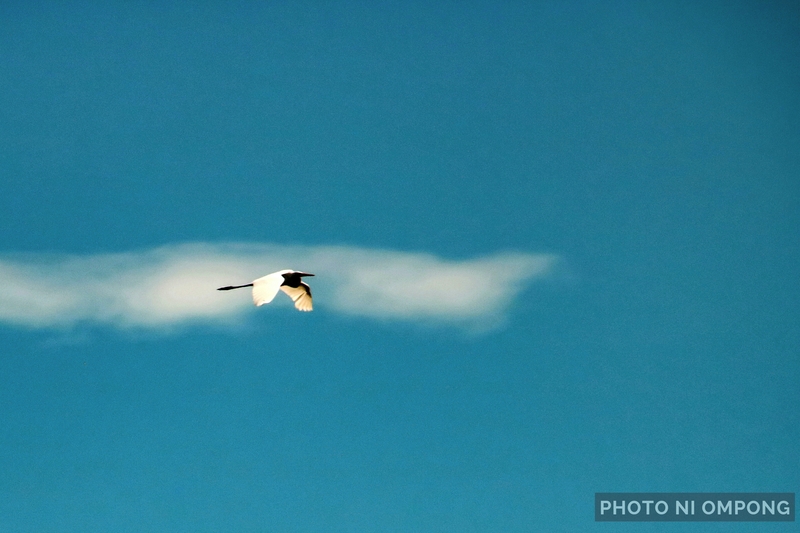 ​We were travelling along SCTEX, one of the expressways in Luzon of the Philippines, at a speed of about a hundred kilometers per hour when I took this picture of a bird flying to the opposite direction. In capturing this photo, I had set my gear to use Back Button Focus and set the AF operation to AI Servo (or continuous focus). What is Back Button Focus? In “normal mode”, DSLRs focus when you half-press the shutter and take the picture when you completely press the shutter. The problem with this mode is that it only works for still or stationary subjects. When the subject moves out of focus, there you go… You get a blur! Even with a high shutter speed, you may still get a blur if the subject moves out of the area where your gear had initially focused. And you may have to refocus and half-press the shutter again which by the time you’re able to do this, the subject has gone out of your sight. This is where the BBF will come in handy, together with continuous focus (AI Servo in Canon). Depending on the brand and model of your gear, it may already have a dedicated BBF button or you can set a button, like the Exposure Lock, as the BBF. The BBF, together with AI Servo, will allow you to keep the center of focus on a moving object without half-pressing the shutter. Technically, you have two buttons in play, the BBF (using your thumb) to focus and the shutter (using your index finger), to take pictures. What does that mean? You can press and hold the BBF to retain focus on a moving object and just press the shutter to take pictures anytime without the shutter doing a “focus and refocus”. Matindeng practice nga po talaga sa photography bago humusay….